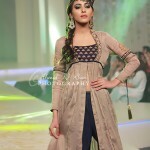 Latest Pantene Bridal Couture Week .Yasmeen Zaman Bridal Collection at Pantene Bridal Couture Week Karachi 2013 was done by the experienced Laiqa Hassan. Hassan Shehryar Yasin did the choreography for runway shows whereas HUM Network Ltd managed and executed the Pantene Bridal Couture Week Karachi 2013.Yasmin Zaman is one of the most talented fashion designer of Pakistan. She dare to do very fantastic work while using bold cuts. 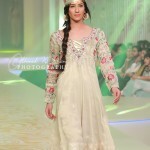 In Panteen bridal couture week 2013 Yasmin Zaman has showcased her exclusive Bridal Wear collection 2013.Yasmin Zaman is not a very old fashion designer. She started designing clothes for women only last year. In a short period of time, she has become quite popular. 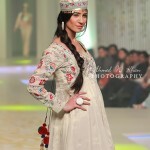 The clothes of the fashion designer have been featured in fashion magazines a few times.Photography By Ahmed w khan. Contact with Ahmed w khan.